Each year, we start it with the greetings "Wish You A Happy New Year". We want to be the first one to greet our friends, neighbor or the boss as we want to show up ourselves to be very smart. We try to influence people by doing so, especially, if we are in need of some favors. The second thing is, we try to celebrate our best by organizing bash new year parties or by attending them. We do not care about spending lavishly on such parties by drinking and merrymaking whatever might be the financial condition throughout the year. But, I do not understand the lavish spending of money on New Year parties or on Deepavali crackers or on marriage parties. Why all this extravaganza? Why so much is wasted to show up yourselves? This lavishness of spending can be more usefully and generously spent for social causes and public welfare works. There is so much of poverty all around you and so many people deprived of their bare necessities of life like food, clothing, shelter, education, and health. Why can't we spend this money for such purposes of providing them food, education, and health? I think that by generously contributing to such public welfare causes, we can get more satisfaction and a greater feeling of happiness than by spending unnecessarily on such bash parties and celebrations. So, from this year on, let us try to save on parties and celebrations and spend a portion of that money for generous causes. 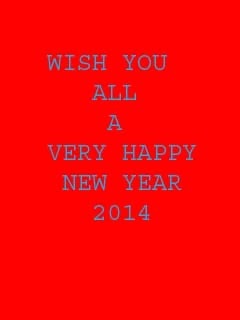 Let us wish for "A Happy New Year to the WHOLE HUMANITY".